Balad party MK says she suspects more than simple criminal intent in break-in Sunday. 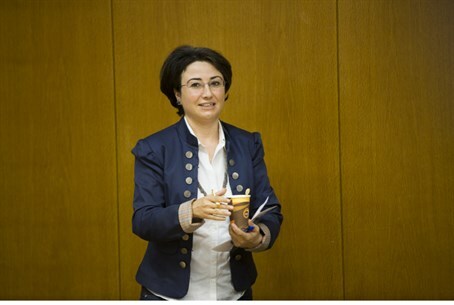 The offices of suspended Knesset member Hanan Zoabi were vandalized over the weekend, officials of the Balad party said. The offices, located in the city of Nazareth, were ransacked, with computers and other paraphernalia stolen. According to party officials, the lock and the front handle of the office were broken off. Zoabi has filed a police complaint on the matter. She believes that she was targeted not by criminals, but by politically-motivated vandals. “It does not appear on the surface to be a criminal matter, because several items of high value were not taken, while others were,” she said. “I demand that police conduct a full investigation of this crime, although they have not taken it very seriously so far. There appear to be motives other than criminal at work here," she added, without speculating as to what those might be. Zoabi isn't short of enemies. She was recently banned from the Knesset plenum for six months following comments in which she sympathized with the Hamas murderers of three Israeli teenagers over the summer. And more recently, Israel's State Attorney supported indicting the radical Arab MK for inciting violence against Israeli police.